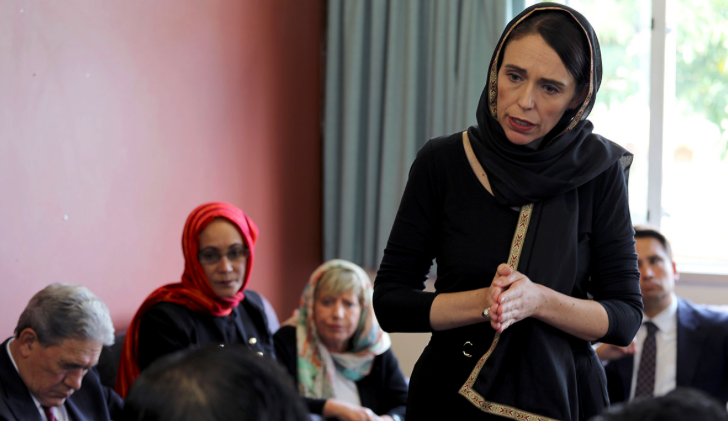 Oh Look All You “Cool” Kids An ISIS Threat - WWJD - What Will Jacinda Do? So the inevitable has happened and ISIS have after a six month hiatus come out allegedly with propaganda of their own. I will not link to the video of course, just the story of it from the NY Times (so it must be all true). Big boy and girl pants time now. Or as the great Sir Alex Ferguson used to coin it - squeaky bum time. 2. I expect Mother Jacinda AND Winston Raymond Peters to stand arm and arm with these Muslim leaders as they do. 3. I expect Muslim leaders to do so without saying “this has nothing to do with Islam” and instead say that ISIS are wrong, their interpolation is a sick twisted version of Islam, and anyone that subscribed to it is not welcome at any mosque in NZ. Then say it again in Arabic. 4. I look for the mad rush by our political leaders to force You Tube, Facebook and all providers to take down this 44 minute audio message. 5. I look forward to Mike Bush and his latest signer to share the news that anyone sharing this faces 10-14 years in prison. 6. I look forward to the letters from telcos banning access to web sites and social media promoting this 44 minute recording. 7. I look forward to the virtue signalling political classes to jump over themselves to denounce this. I look forward to them protesting in the streets arm in arm with Muslims they have now embraced, to condemn this. 8. I look forward to Jacinda Ardern never mentioning the name Abu Hassan al-Muhajir (if that is his real name). The NY Times stating "Mr. al-Muhajir — the name is an invention, and his true identity is unknown — is a faceless but important figure inside the terrorist group. He is not known to have ever appeared in photographs or in the group’s numerous videos, and almost nothing is known about his personal biography'. 9. I look forward to Nigel Latta explaining to parents how to tell their children how to handle this threat and why Mum has told them they cannot go near train stations, concerts and churches for the foreseeable future. 10. I look forward of course to waking up in the morning with absolutely none of this happening. The NZ chattering virtue signalling political classes really do need to learn how to share grief and not steal it from its current rightful owners. All will virtue signal, all sides of the argument. Nothing will change apart from the freedom of discourse for the ordinary person. The ordinary everyday person will not longer be allowed to vent off steam when something upsets them. What a bland boring lot we will become. When will people realise that man/womankind is not a pleasant animal we are nasty, our strength lies in being able to deal with any nastiness on a personal level, as an individual. That is changing rapidly, the state knows best will soon be the answer, no individual thoughts allowed. Once again Metro has rolled out "Auckland's top restaurants" for 2019. Every year this gets so much of a joke that I have finally decided to post my view on it and say ENOUGH. Metro editor Henry Oliver, along with food and dining director Simon Farrell-Green and 10 other judges, say they considered more than 100 restaurants in the Auckland region. Oliver says that to earn a coveted spot, they looked for restaurants that excel not only in food, but also in service, drink quality, design and fit-out, and "how much [we] want to go back". Seriously? Really? I scream basic advertorial or what’s known as native advertising. ad·ver·to·ri·al /ˌadvərˈtôrēəl/ noun a newspaper or magazine advertisement giving information about a product in the style of an editorial or objective journalistic article. TWG Review - The "Kiwi Way of Life"
Today we received the first soft sell on CGT by Prime Minister Ardern. She is still far off the mark in reaching the hearts and minds of the vast majority of New Zealanders on this issue however here are a few statistics I will put out there to help her. New Zealanders’ individual net worth increased with age until around retirement. People tend to build net worth throughout their lives. In 2018, young people (15–24 years) had the lowest median individual net worth ($2,000); people of traditional retirement age (65–74 years) had the highest ($416,000). The median net worth of the typical Kiwi household in the June 2018 year was $340,000, up from $289,000 three years ago – mainly reflecting rising property values. The median means half of all households are richer and half are poorer than this value. 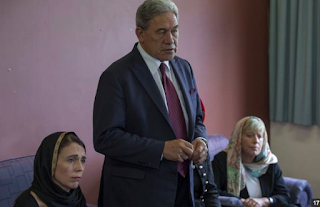 The face you make when you realise you're allowing Winston Peters to speak on your behalf to immigrants. “We never thought it could happen in NZ”, “This is not us”...."Kia Kaha Christchurch"..."Resilience". (insert random cliches). I’m sorry NZ but this is you and it has happened. Put your big girl and boy pants on. For many years NZ has lived in a child-like utopia that terrorism doesn’t happen to us if we are all nice to people. We sit on the fence on diplomatic matters. It will never happen in such a quiet place. If we stay still we will never be a target. We have strict gun laws as opposed to America and this will never happen. Well it has happened and now NZ has to face facts that it is a grown up in a grown ups world.